When head lice present themselves, parents like yourself tend to panic. But who wouldn’t? The constant itch and discomfort, especially in children, can make us feel both uncomfortable and downright useless in fixing the situation. You may think that a quick trip to the drugstore or supermarket could help resolve all your troubles. Well, that’s where you would be wrong. You see, today’s head lice are basically immune to over-the-counter products – not to mention the strong chemicals included in each bottle. Today’s head lice are stronger, faster, and more troublesome than ever. Arm yourself with knowledge – here are a few other gross facts about head lice! Well, that doesn’t seem so gross, right? They will not actually infect everything. But it depends on your outlook, really. Are you a neat freak? Do you need everything in your home to be completely clean, especially after a bug infestation of any kind? Please understand that head lice will not live in your furniture, for instance, yet many homeowners will wish to wash everything. You don’t need to do that, though. However, washing your bedding, clothing, and headwear entirely makes sense. But vacuuming each room and bagging anything the infested person has ever touched? That’s completely unnecessary. 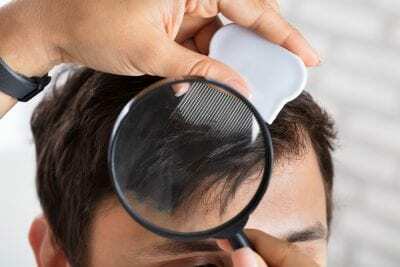 Lice will only live about 24 hours away from the human scalp. Then, thankfully, they’ll die off. Lice are not a relatively new species. In fact, they’ve been around as long as humankind. That’s gross all right, but head lice evolved alongside people. With our living changes and safety procedures, head lice have adapted their own routines, and even their biology. We mentioned earlier that today’s species of head lice are generally unfazed by over-the-counter medications. That’s quite true! Over the years, head lice have grown accustomed to the pesticides and other chemicals designed to kill them off. Now, they can withstand those treatments and ultimately thrive on the scalp for far longer, and you don’t want that. Louse – The singular term for head lice is “louse.” It sounds odd because no one ever says it aloud. Light – Typically, head lice do not enjoy the light. They will hide and crawl away quickly if a light is present, which is why they are so difficult to spot initially. Yes, they have a plan. Camouflage – Nits (eggs) are able to camouflage themselves to match your hair color and pigment. This camouflage protects them from outside threats, so you’re unlikely to track them as easily. Saliva – The itching caused by head lice is not from hair shifting or tiny legs crawling across your skin, but instead, it’s the saliva. Similar to a mosquito, the bite of a louse often causes an allergic reaction that leads to intense itching and discomfort. Are you dealing with the constant itch of head lice? Contact Lice Lifters by calling 972-805-1308 for our Frisco location. We are the top provider of head lice treatment in DFW! When your little one comes home with lice, you want immediate, effective treatment. The question is, what does that treatment look like? Here are the steps a professional lice removal service like Lice Lifters Treatment Centers will take in order to eradicate the lice and nits for good. These steps are straightforward yet incredibly effective in comparison to DIY treatments and various drugstore products. First and foremost, the technician will need to examine each and every section of hair on the infested person’s head and scalp. 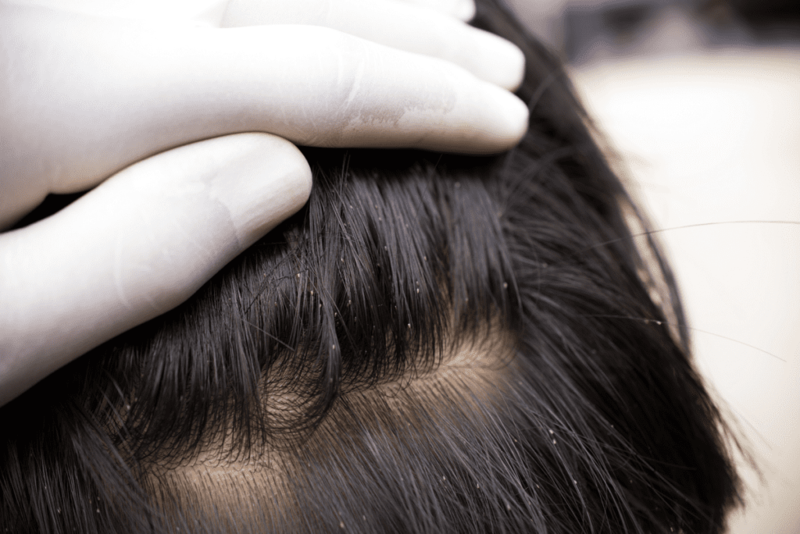 If any lice or nits are located, then the technician knows what the next step must be. You cannot use just any comb to complete this step. Experienced technicians will use a specially designed micro-grooved comb to meticulously remove each and every nit clinging to the person’s hair and scalp. This can take an hour or more, but an experienced technician will be much more efficient than a worried, desperate parent going it alone at home. This is one of the most important components of treatment. Also note that it is Step 3, and not the first step! Lice Lifters Treatment Centers employs an all-natural killing agent that’s free of toxic chemicals and worrisome ingredients, so you can feel good about using it on your child’s head. By the time the treatment is finished, all lice should be completely dead. The center will also give you an at-home follow-up treatment that ensures beyond a doubt that you’ll stop dealing with lice in your home. When you experience professional treatment from Lice Lifters, you can be confident that you’re eradicating the lice in the most effective and safest way. One Quick Treatment. Done! Guaranteed. To schedule an emergency removal appointment or speak to a lice technician, call Lice Lifters Treatment Centers today at 972-960-4858(Frisco).